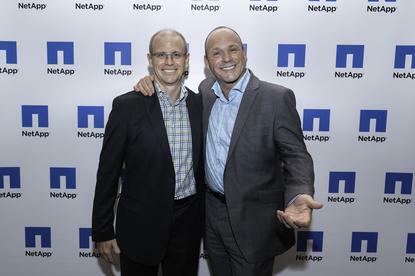 NetApp has appointed Paul Crighton as new country manager of Australia and New Zealand (A/NZ), replacing Glenn McPherson in the top role. Based in Melbourne, Crighton is tasked with expanding the vendor’s footprint on both sides of the Tasman, in addition to driving growth through the channel. “At NetApp the business is at an important inflection point, building on the transformation journey our CEO, George Kurian, has led over the last few years,” said Crighton. Prior to joining NetApp, Crighton was senior vice president of sales for BlackBerry, having previously worked at PGi, Symantec and McAfee. “The majority of my career has been focused on leading software sales teams, and I’ve enjoyed leading sales transformations, which have led to outstanding business performance across a number of companies,” Crighton added. “In joining NetApp I can already see I am surrounded by smart, passionate and ambitious colleagues, and I am humbled to be able to lead and work alongside these people. In the short-term, Crighton said his overriding focus centres around “spending time in the field” with customers, alongside “fine-tuning” engagement processes. “We have to be relentlessly customer value driven, and as such I will also be spending time with our channel partners to ensure we are delivering on that promise,” he added. Crighton replaces McPherson who exited the vendor in October to take up a regional sales director position with AppDynamics. The appointment comes as NetApp honoured top performing partners across A/NZ, recognising 12 months of innovation and growth through the channel.